The Council has been collecting crash data since 2012, and their results are startling. Unfortunately, Florida has the highest rate of cars crashing into storefronts in the United States. The top five states with the most storefront crashes are Florida, California, New York, Texas, and Pennsylvania. The fact that Florida ranks first in the most storefront crashes is surprising, given that California and Texas have significantly larger populations, and New York has a similar population. In terms of population, California is the most populous state in the country, with over 39.5 million people. Texas is second, and has over 28.7 million people. Third is Florida, with over 21.2 million people. New York is closer to Florida’s population, with over 19.5 million people. Pennsylvania is the outlier in this case, because it has just over 12.8 million. In terms of licensed drivers, California unsurprisingly leads the nation with over 26.7 million drivers. Texas is next, with over 17 million drivers. Third is Florida with over 15 million drivers. New York is fourth with over 12.1 million drivers. Last is Pennsylvania with over 8.9 million drivers. Despite Florida being the third-most populous state in the group, Florida leads the nation in the number of crashes and rate crashes relating to the number of licensed drivers. Florida has just 10 percent of the licensed drivers in the country. However, it has the highest percentage of crash incidents at a whopping 17 percent. California, on the other hand, has 18 percent of the licensed drivers in the US, but only has 10 percent of the crash incidents. That means that even though California has over 400,000 more licensed drivers than Florida, Florida’s drivers crash into buildings at a 70 percent higher rate than the drivers in California. What about the other states in the top 5? New York comes in third, with 8 percent of the US licensed driver population, but only has 8 percent of the crash incidents. Texas is fourth, with 11 percent of the US licensed driver population, but with a low 8 percent of the crash incidents in the country. Well, the Storefront Safety Council’s research has uncovered some very interesting correlations. According to the Council’s statistics, just 19 percent of the country’s licensed drivers are having an incredible 45 percent of the total crashes. The Council broke down their research into decades. Of those involved in crashes, only 7 percent were under 20. Next, approximately 19 percent of the storefront crashes were caused by people 20 to 29. Those 30 to 39 were responsible for only 12 percent of the storefront crashes. Those aged 40 to 49 accounted for only 8 percent of the crashes. Those aged 50 to 50 accounted for 9 percent of the crashes. Then, the percentages start to jump in as people get older. Those aged 60 to 69 account for 12 percent of the crashes. Those aged 70 to 79 account for a whopping 17 percent of the crashes. Finally, those 80 and above account for 16 percent of the crashes. Moreover, the Council found that those states that have highest number of driver 65 and over also have the highest rates of storefront crashes. It is interesting to note that the Council’s statistics differ significantly from the U.S. Department of Transportation. For example, the US Department of Transportation had those aged from 40 to 49 as accounting for 21 percent of the crashes, whereas the Council’s statistics had it at only 8 percent. In terms of what is causing the accidents, the Council found that medical issues (like heart attacks, strokes, etc.) account for a low 10 percent of accidents. Traffic accidents account for 12 percent, and ram-raid (a type of burglary) accounts for 8 percent. DUI’s account for a higher percentage of the crashes at 18 percent. Next, pedal error (where a person pushes the accelerator instead of the break) accounts for an incredible 23 percent. Lastly operator error accounts for a whopping 30 percent of all crashes. Within the state, South Florida has an incredibly high concentration of the crashes. Nearly 1 in 4 of the crashes happen in just Broward or Miami-Dade counties. Fortunately, politicians have taken notice and there have been several attempts to correct the problem. 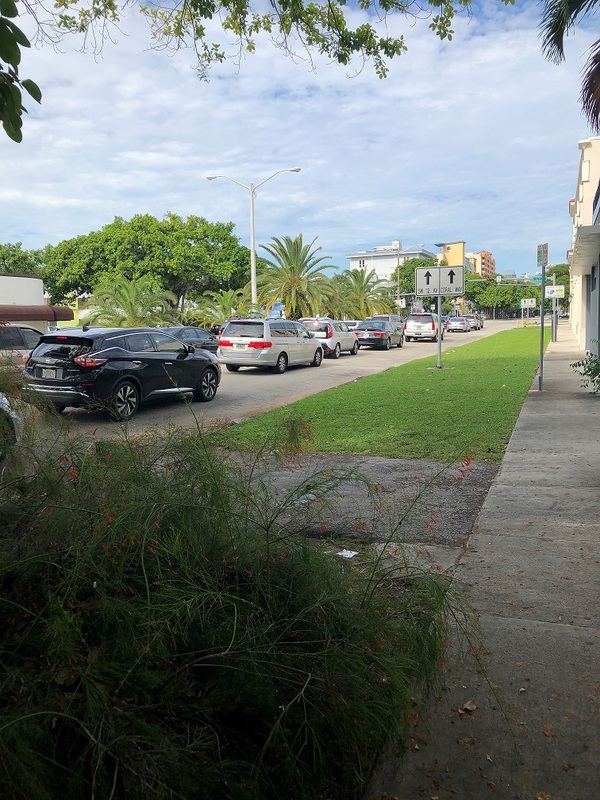 For example, in 2018 the Democratic State Senator from Miami Jose Javier Rodriguez, filed a bill that he intends would help prevent such accidents. The bill would create a fund that would pay for bollards, or barriers, that would help prevent out of control cars from crashing into buildings. The fund would focus on the cities and counties where the number of crashes are particularly high and then award money for business in those areas to buy bollards. The hope is that by getting businesses to put physical barriers between the streets and the storefronts, the crashes will not be so deadly. The crash may happen, but the car has much less of a chance of hitting people going in and out of stores because the bollards will be there to physically stop the car. This proposition has some detractors. The critics point to the fact that bollards can be both costly and still do not actually stop the accident from happening. Only time will tell if the state legislature can come up with a solution to stop the high rate of storefront crashes in Florida. At the Wolfson law Firm, our Florida personal injury lawyers have fought for injured victims since 1963. Our Florida personal injury law firm serves clients throughout Florida including but not limited to Miami, Fort Myers, Naples, Fort Lauderdale, Orlando, Tampa, Sarasota, Fort Lauderdale, West Palm Beach, Jacksonville, Florida Keys and Gainesville. If you or a loved one were seriously injured in a storefront crash, call us at 855-982-2067 or at 305-285-1115 for your free consultation. We are standing by and we are ready to help.